The SmartPak Twisted Leather Halter brings a new TWIST to the traditional leather halter. 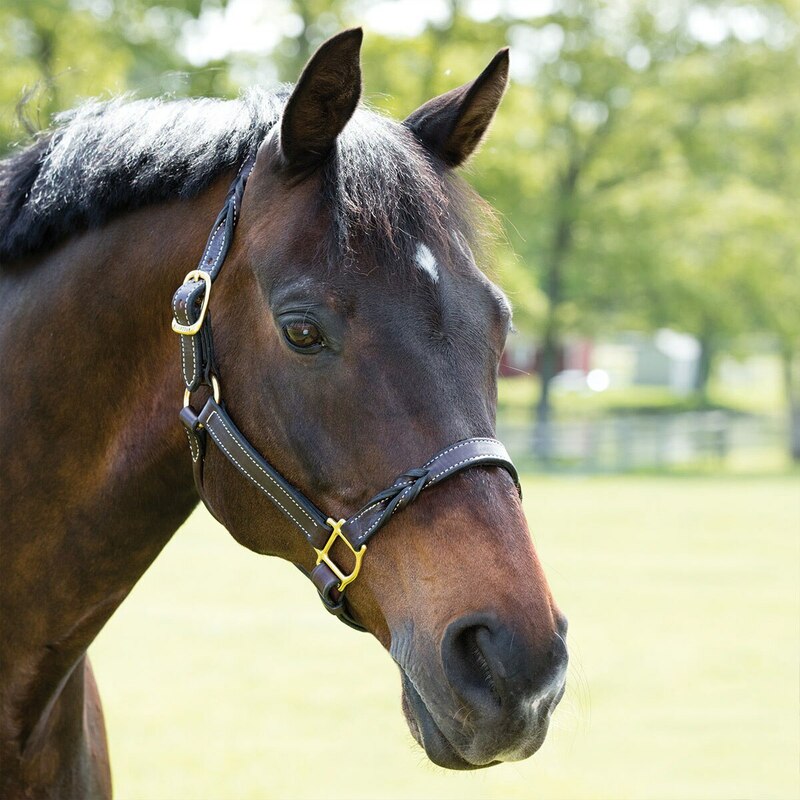 An elevated look that is perfect for shows or even turnout! 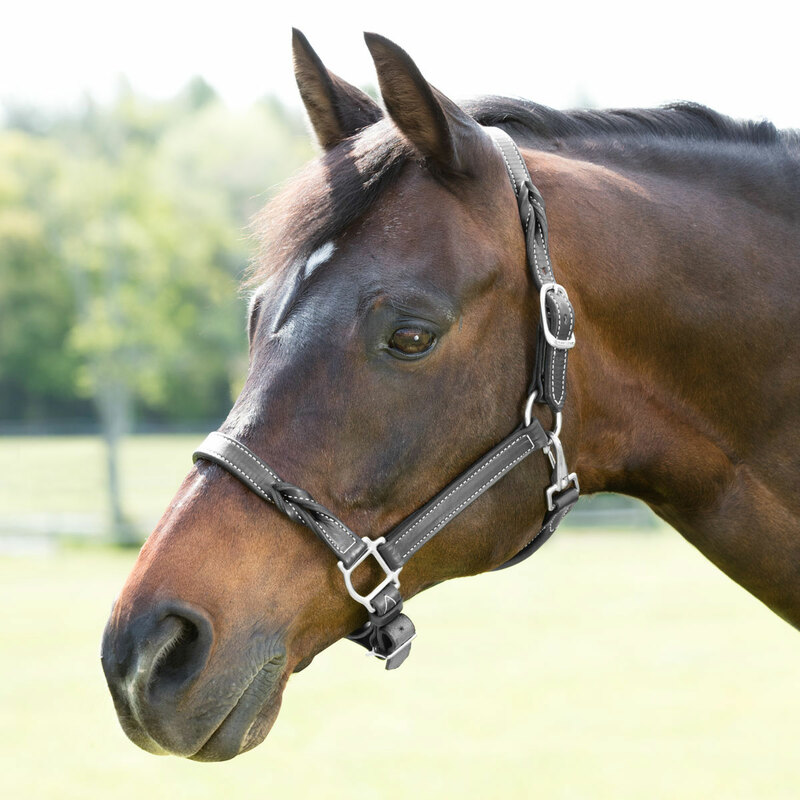 This halter is produced with top quality leather to ensure it will hold up over time. 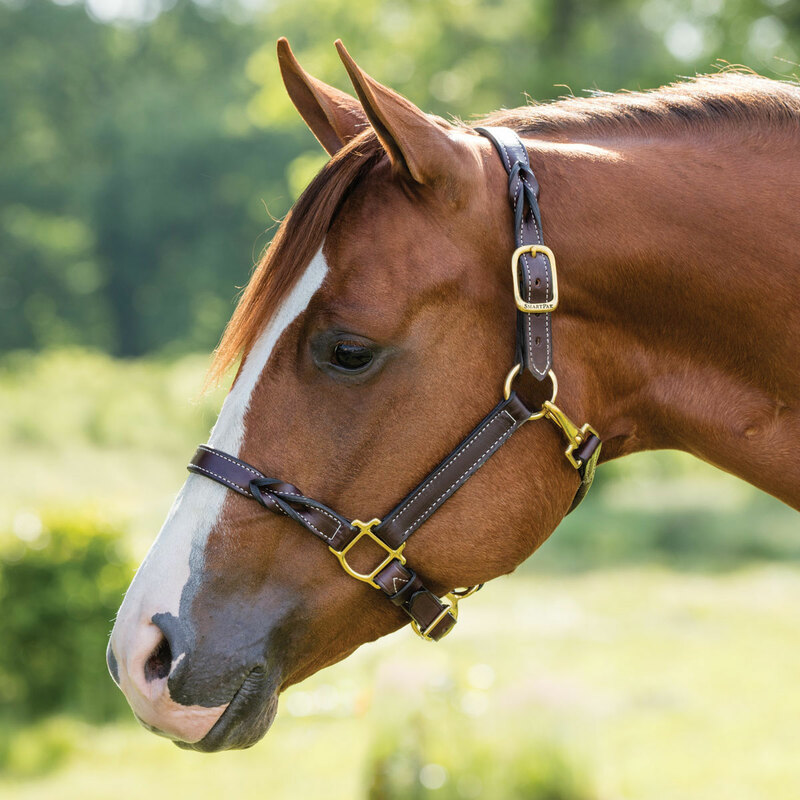 A double buckle crown, adjustable chin, solid brass or silver fitting, and a snap at the throat offer all the functionality you could even want. Havana with white stitching, Black with white stitching. 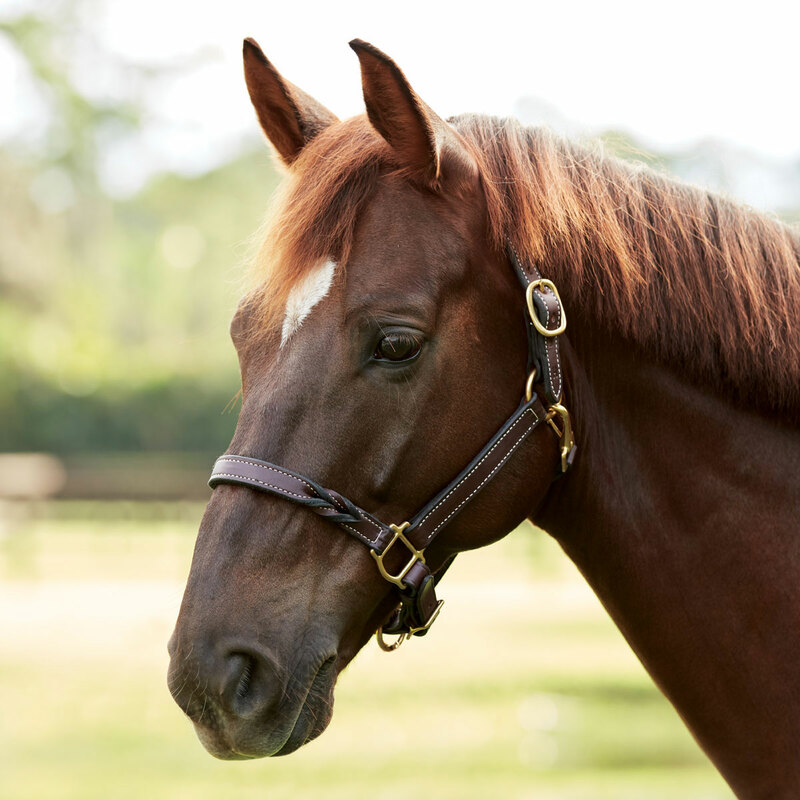 A true knockout of a halter! Please note, this is not a breakaway halter, and is unlikely to break under pressure. Coordinates with the SmartPak Twisted Leather Lead. 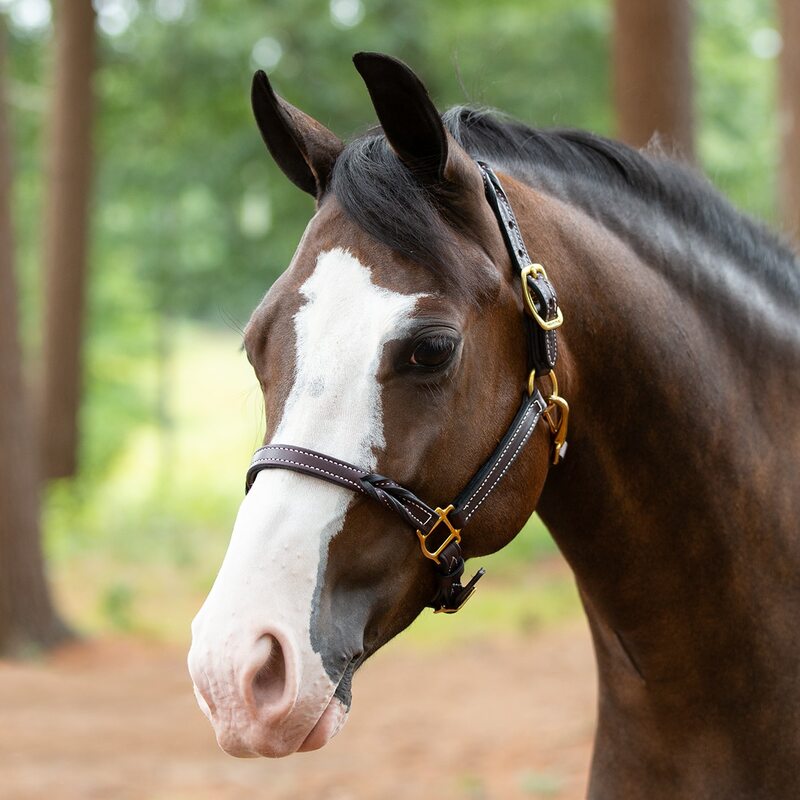 SmartPak Twisted Leather Halter is rated 4.9 out of 5 by 30. Rated 5 out of 5 by Txeventer from Very pretty details! Nice leather halter with very pretty braiding details. Rated 5 out of 5 by NobleAttempt from Gorgeous Halter I eyed this halter for over a year, and I'm so glad I finally bought it! The leather is thick and gorgeous but not too stiff. It is simple and beautiful with just a little bit of flash from the twists. Its just enough to be different from all the other plain leather halters, but not too much that my gelding looks feminine. 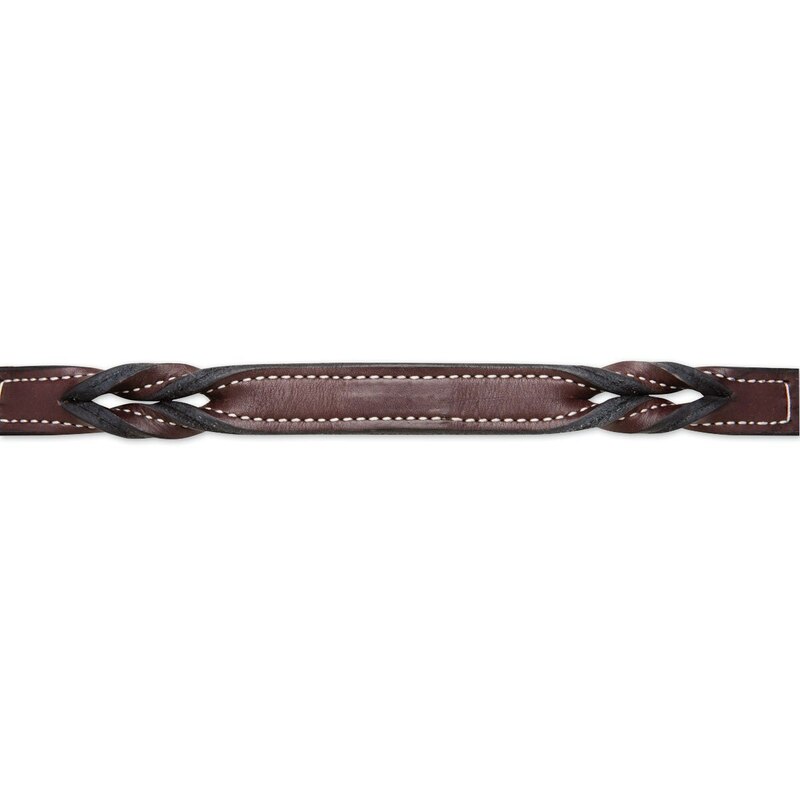 I also have the matching twisted leather collar for my dog, so both my boys can look effortlessly stylish around the barn and around show grounds. Rated 5 out of 5 by OTTBlue from Beautiful I received so many complements on this and halter. Rated 5 out of 5 by Charlotte from My Favorite Halter! This is my favorite halter ever! It looks great on my blood bay gelding the fit is perfect and I totally recommend! Rated 4 out of 5 by Finish Line Farm from Good halter Nice halter! I like that it is a little different. I did oil it a lot to get it more supple. Rated 5 out of 5 by Buddy1 from Great quality and. Durable Love it Buddy does too! Rated 5 out of 5 by Jeane from Gorgeous, BUT... I bought this halter weeks ago and was very happy with it right out of the package. Its beautiful, made well, soft and lovely. It also RUNS SMALL and I had to return it for an oversize in order to fit my QH/Paint, who runs deep in the throat latch. However, weeks later, I'm still waiting for the replacement. I know, Christmas is crazy, but its been a couple of weeks and no replacement yet. Rated 5 out of 5 by Kathy from Love the unique look! I haven't had the product for long so I can't say how well it holds up over time, but so far I am happy with it. I love the unique look of this halter.